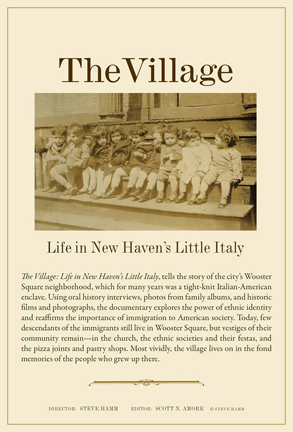 Best Video Film & Cultural Center is pleased to be presenting the documentary “TheVillage: Life in New Haven’s Little Italy” at Whitney Humanities Center at Yale on Thursday, June 7. The screening starts at 6:30 PM. Admission is free. To reiterate, this screening is at Whitney Humanities Center, not BVFCC. Directed by Steve Hamm and edited by Scott N. Amore, “The Village: Life in New Haven’s Little Ital” tells the story of the city’s Wooster Square neighborhood, which for many years was a tight-knit Italian-American enclave. Using oral history interviews, photos from family albums, and historic films and photographs, the documentary explores the power of ethnic identity and reaffirms the importance of immigration to American society. Today, few descendants of the immigrants still live in Wooster Square, but vestiges of their community remain—in the church, the ethnic societies and their festas, and the pizza joints and pastry shops. Most vividly, the village lives on in the fond memories of the people who grew up there. The fifth annual NHdocs: The New Haven Documentary Film Festival is presenting an impressive array of more than 80 documentary features and numerous shorts over an eleven-day period, from May 31-June 10. The opening night film, Gorman Bechard’s “Pizza, A Love Story” (2018), celebrates the mystique and histories of New Haven’s three legendary pizzerias—Modern, Sally’s and Pepe’s. The following evening IRIS (Integrated Refugees and Immigrant Services) presents Alexandra Shiva’s Sundance Audience Award Winning “This is Home: A Refuge Story” (2018), an intimate portrait of four Syrian refugee families arriving in America and struggling to find their footing. The first eight days of the festival feature an array of Connecticut filmmakers, topics and premieres. 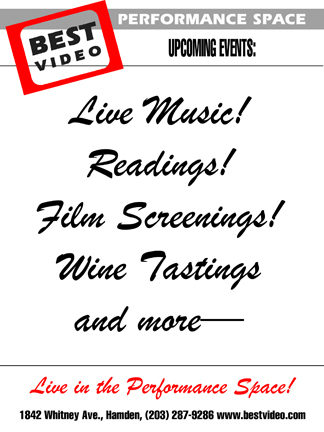 World premieres include Jim O’Connor’s “Family Meal” (2018), which looks at three New Haven restaurant families, and Steve Hamm’s “The Village: Life in New Haven’s Little Italy” (2018), a Best Video presentation. NHdocs was started by filmmakers Charles Musser and Gorman Bechard to build a sense of community among filmmakers and residents from the Greater New Haven area. NHDocs proudly operates underInternational Festival of Arts and Ideas sponsorship. This 501c3 organization features some of the most influential dance, music, and theatre artists of our time.